Three weeks ago, I explored the likelihood of a recession in 2020 and concluded that while my panel of recession indicators were not bright red, they were flickering (see A recession in 2020?). I have been increasingly cautious about the equity outlook since August (see 10 or more technical reasons to be cautious on stocks and The macro risks that keep me awake at night). My call for caution has been correct so far. 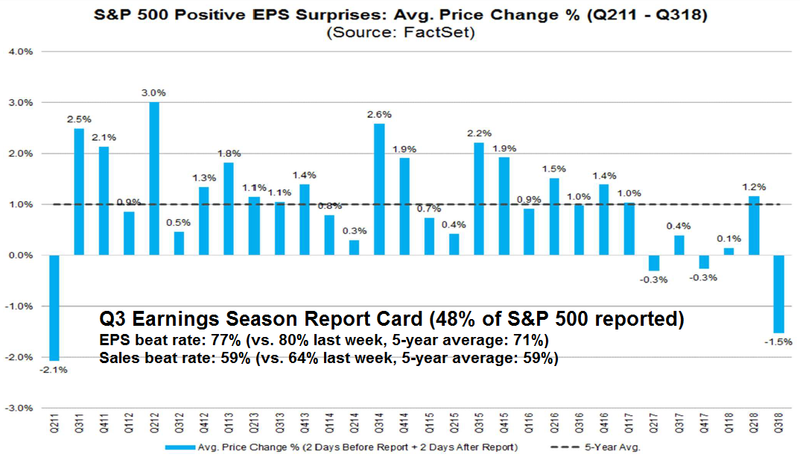 The latest update from John Butters of FactSet shows that the market is not responding to good news during Q3 earnings season. 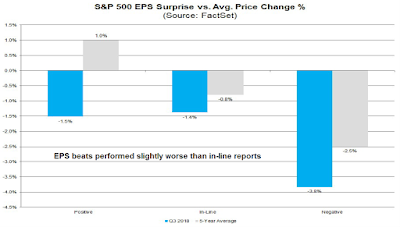 Stocks that beat expectations saw their prices fall at a level that was last seen in 2011. This is all occurring when the EPS and sales beat rates are either average or slightly average compared to their 5-year averages. 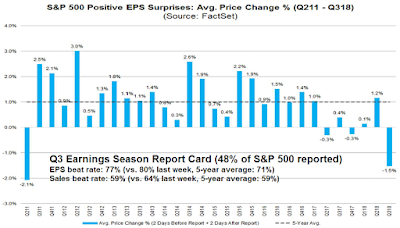 The negative stock price response to EPS beats cannot be attributable to a negative overall tone to the market. As the chart below shows, companies that have beaten expectations performed slightly worse than ones that reported in-line, while companies that disappointed were punished. Here is what's bothering me. A recent Bloomberg article indicated that two-thirds of business economists expect a recession by the end of 2020. .A 2020 recession is becoming the consensus call, and being in the consensus makes me highly uncomfortable. While I recognize that recessions have historically been bull market killers, what if the consensus is wrong? 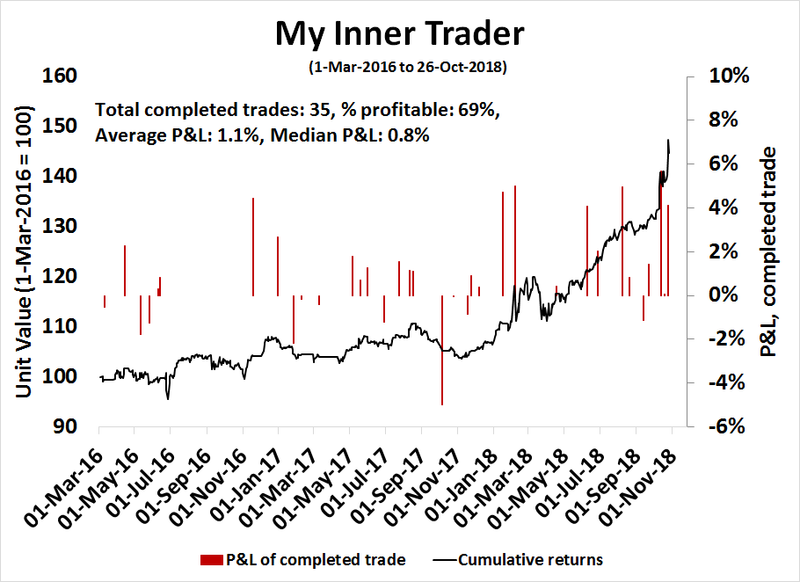 Here are some possibilities that could turn me bullish. 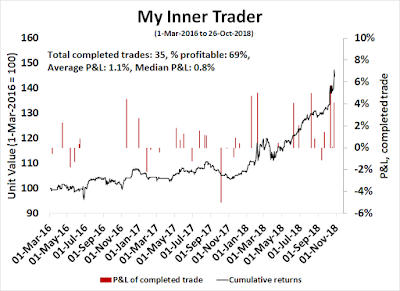 While I remain cautious on stocks and these do not represent my base case scenarios, any of these outcomes could make me more constructive on equities.